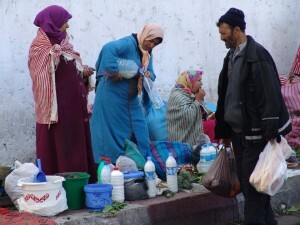 I’ve arrived in Tangier at the crucial time of the people’s revolution in the Middle East. It’s 7.30am and I can hear the roaring of the Arab masses crying for their freedom from the corrupt regimes of Tunisia, Egypt, Libya, Mamlakat al Baḥrayn (Bahrain), Yemen. Their voices are running along the alleyways of the old Medina. Has the revolution kicked here as well? The sounds of the TV sets from the small cafes in streets come up to my room through the closed window mixed with the banging from the construction site of the port. 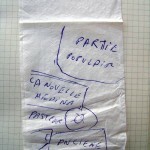 I find out about the latest news when I get down to the Café Centrale. 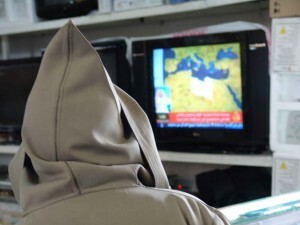 The TVs are all tuned on Libya. People are glued to the screens, making comments and shaking their heads to the images of demonstrators being killed in the streets of nearby states. So, here I am, sipping my coffee and trying to make sense of all the things learned in the last 48 hours. Mohamed, the young man working as waiter at the Café starts chatting in French. 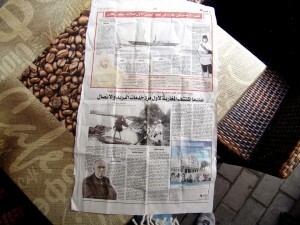 He shows me a paper with the news of Moroccan people who were repatriated from Libya on the same day of my arrival. 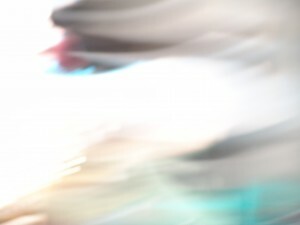 I ask if it is possible to go to the new port and take pictures there. He says that I need a special permission and it’s not easy. Why should I want to film there? I am not sure. I think I do… but then, as if cradled in my chair, I get trasported somewhere else, my eyes fixed on the slow, constant movement of people passing through the narrow streets and squares of the old Medina. I just need to be here. Mohamed comes to sit next to me and shows me an article in the local paper adding another bit of information on Tangier. 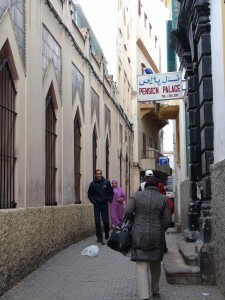 I learn that this is the first city in Morocco with a telegraph, a telephone centre and a post office. 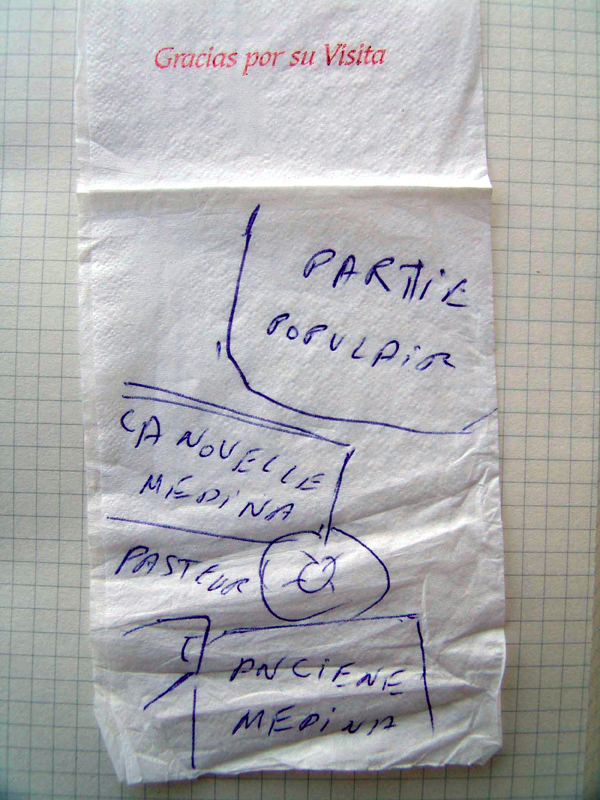 I say to Mohamed “this is a port of communications!” He nods smiling and draws me a map of the city to help my orientation. I have been sitting for hours and and I start feeling the urgency to take my camera and do some visual research. I walk around and is fine, but I can sense people’s resistance if I get closer with my camera.